During LC Fashion Week, we will be notifying you of new brands and designs exclusively brought to you by the LC. With that being said, we are thrilled to announce that the Elanza brand is now featuring a bridal collection. Continue reading to discover how this brand brings beauty and an inspirational feeling to all who wear it. Designed exclusively for LC customers, Elanza provides an elegant touch and exquisite look for a fraction of the price. With the luxurious appearance of simulated diamonds in classic and timeless settings, no one will know these diamonds were born in a laboratory. 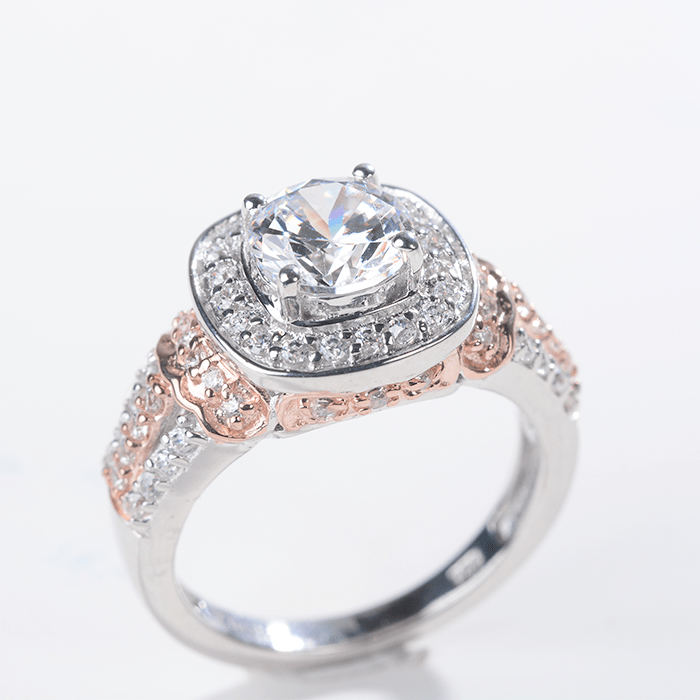 To create a dazzling sparkle, Elanza stones are cut in perfect proportion. They are cut from the finest rough, each stone is flawless and colorless. Cut by hand and machine, each stone exhibits precise consistency and brilliance. The best aspect of the Elanza line is that it is an affordable alternative. 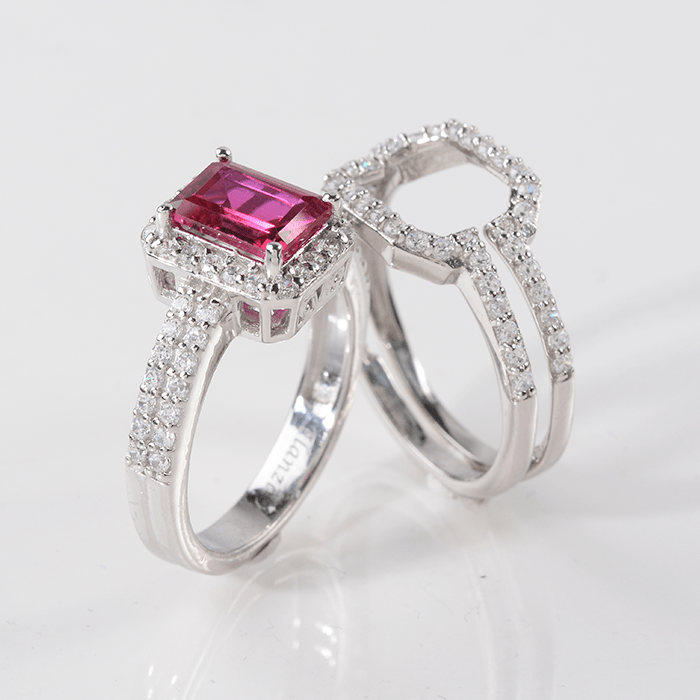 Quality is not sacrificed for value when it comes to these simulated gemstones. They feature the best refractive index and clarity possible. Same sparkle as diamonds, but not the same price. 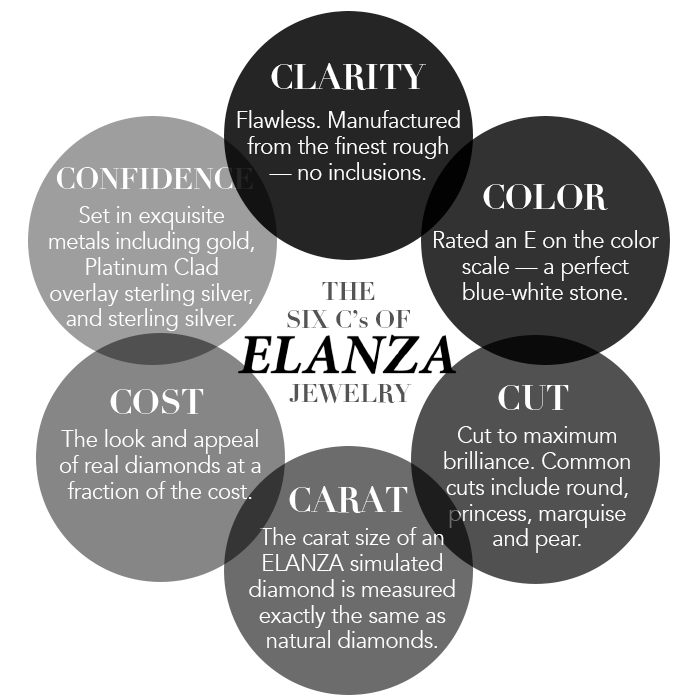 When it comes to Elanza jewelry, don’t feel like you must limit yourself in creativity and color. This line is bursting with color and available in assorted colors, such as yellow, blue and pink. Elanza stones are also available as simulated gems, such as sapphire, ruby and emerald. Be sure to join the LC during its first ever Fashion Week starting tomorrow until Friday, Sept 25. To get a closer look at the exclusive bridal line by Elanza, tune in live Sept 21 from 12 p.m. to 4 p.m. CT.